The Biggest Wellness Sampler Yet! Our Biggest Wellness Sampler Yet! Experience an evening of alternative health and wellness treatments at Seeking Indigo. Enjoy a glass of home made kombucha, organic food by Dellz, and an informative evening of wellness! Email or call us to reserve your spot for the next sampler on May 19! Space Available for Thursday night Sampler - tomorrow! Detox & Refresh before the Holidays! Enjoy a night of health and wellness at our popular Thursday night series. Just $30 for 3 hours of mini wellness treatments at Seeking Indigo. Have a glass of wine and enjoy food provided by Sprout while experiencing a night of healthy fun. We still have a few spots available; call 843.725.0217 to reserve, spaces are limited to 20. Seeking Indigo's Thursday Night Wellness Samplers are perfect for an interesting date or a girls' night out. Try out our Hyperbaric Oxygen Chamber, detox in the Infrared Sauna, have a Migun Massage experience, and enjoy meeting Seeking Indigo's practitioners and affiliates who participate in each evening of health and wellness. Keep reading for details on this week's Wellness Sampler, upcoming events and inspiration from the world of Seeking Indigo. Below is the list of practitioners for next Thursday, whose services you can choose from to custom design your sampler evening. Call 725.0217 to book! 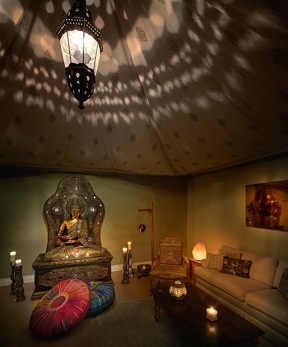 "The atmosphere is otherworldly which accentuates the therapeutic experience. I had an amazing foot bath which cleaned out many toxins in my body. I also enjoyed the "sampler" night which is more social than the private experience though it allowed me to see many other facets of what this great place will do for my body and soul." That's just one of the many 5-Star Reviews about Seeking Indigo.